Summerfields Friendly Village in Williamstown, New Jersey provides a true uniqueness that makes for an unsurpassed lifestyle. In our all age community you’ll enjoy living in a beautifully designed home, and a well thought out range of amenities; from the spacious clubhouse to an Olympic size pool. But that’s only part of the story. Summerfields Friendly Village was constructed with careful attention to location to provide access to a variety of recreational opportunities such as golf courses, historical sites and campgrounds that abound in the area. Historic Center City Philadelphia and Atlantic City are only a short drive away, as are both boating and fishing along the famous New Jersey inland waterway. In Galloway, New Jersey, a short drive to Days of Olde Antique Center, will be a unique antiquing venue to enjoy. 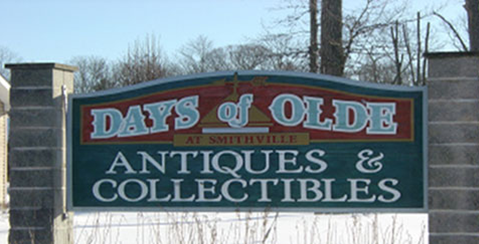 Days of Olde opened its doors 1998 in a building that is state of the art, specifically designed and constructed to house antiques and collectibles. 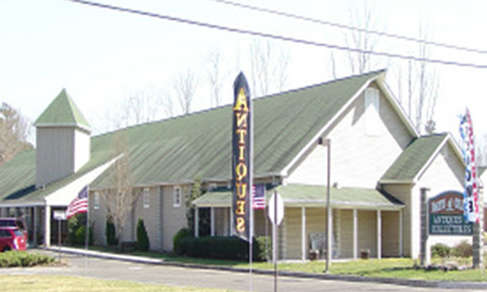 They opened for business with about 20 Charter Dealers, several of which were in the old Smithville Antique Center. Currently they house about 51 dealers, are open 7 days a week. They offer ample parking, including buses, handicapped access, a customer lounge as well as a climate controlled building. You will find something for every taste, whether you are a dedicated antique or collectibles enthusiast, or a casual antique hunter. Plus you’ll only being 9 miles from Atlantic City to complete your day. So, you depart the world of antiquing , stable and expected, and enter a world of chance and wonder at this casino and resort—what a difference 9 miles can make. 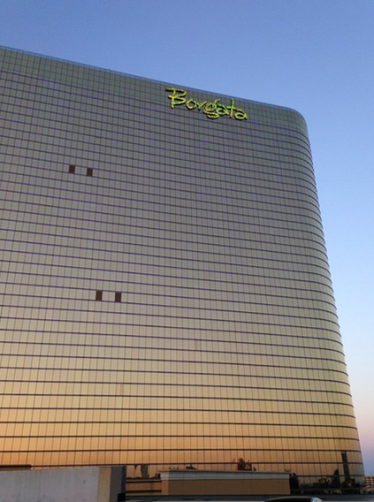 Enjoy world class restaurants from Iron Chefs Wolfgang Puck, Bobby Flay, and Michael Symon There’s truly luxury accommodations, and an expansive selection of casino gaming. If you want to experience something truly out of the box, how about immersion in a two-story spa (no, that isn’t a typo, it’s a two story), on the 32nd floor. You have to see that! Of course, as a homeowner in Summerfields Friendly Village, you would expect that level of enjoyment and quality. Summerfields Friendly Village is conveniently located just off the Black Horse Pike in Williamstown. It was designed by The Temple Companies to be ideally located near great shopping, medical facilities, great dining spots, golf courses, historic sites, hospitals, and houses of worship—and no shortage of entertainment and nightlife as the two examples above show. As importantly, this is a community of thoughtfully arranged manufactured homes along shaded tree-lined streets, and it’s an active community that’s vibrant. Spacious living and dining rooms with state-of-the-art kitchens and low maintenance exteriors make life casual and enjoyable. Each of these manufactured homes comes with a storage shed and can be customized to meet each homeowner’s individual needs. Plus, as a land-lease home you’ll have no real estate taxes, no water bills or sewer fees to pay either. There’s virtually no closing costs. And you’ll save money since our manufactured homes are energy efficient. Our sales staff will demonstrate the value of our community. Our manufactured home designs speak for themselves–there’s no need for any sales pressure tactics here. Our staff will help you consider the options, the unmatched home values and comfortable lifestyle. Schedule an appointment today–(856) 885-1219 Williamstown, New Jersey.